Glassphemy: Bottles are recycled in the latest Macro Sea project, Glassphemy. Take your rage out by throwing a bottle at a passer-byer or an archenemy safely standing behind bulletproof glass. Lights beam off the 20-by-30-foot structure once a bottle is thrown for a full multi-sensory experience. So grab a six-pack and head down to No Libs for free fun. Crane Arts Building, 1400 North American Street, Philadelphia, Pa. 19122, Free, 6 p.m.
Philly Film Fest: Tonight is opening night of the 19th annual Philadelphia Film Festival. See the first of over 100 movies to show in the 10-day celebration. 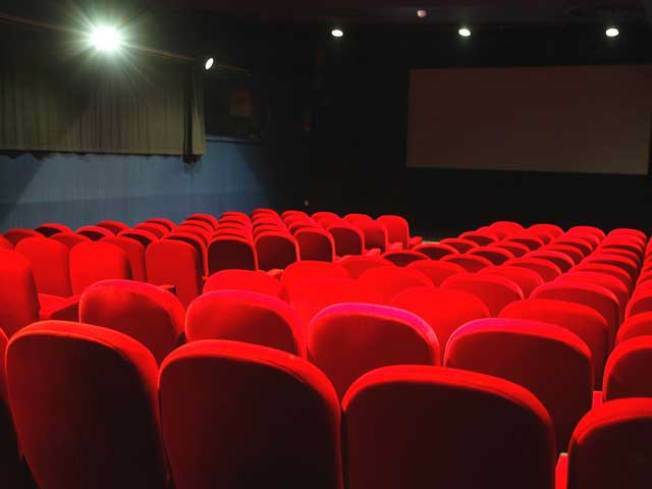 Movies types include documentaries, shorts, features and international hits. Stop in any of the six venues to catch your favorites. Venues include: Annenberg-Zellerbach, Prince Music Theater, International House, Ritz Five, RAVE Auditorium 6 and BMFI. First Glance Shorts: Five indie shorts debut tonight at the First Glance Film Festival. The three-day event specializes in independent features, documentaries, mini-documentaries, shorts, animation and music videos. You can see all shorts at the Franklin Institute now through Sunday. Franklin Theater at the Franklin Institute, 222 North 20th Street, Philadelphia, PA 19103, $8-$12, 8 p.m.